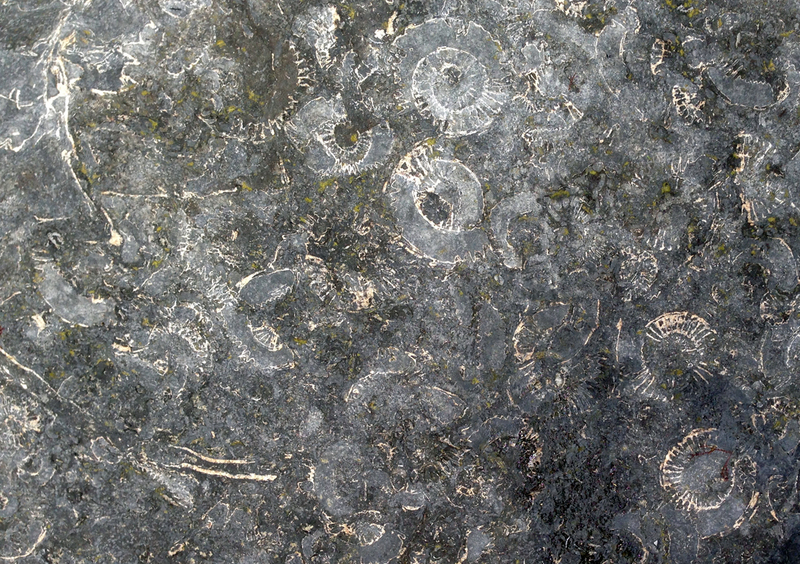 Monmouth Beach is famous for the Ammonite Pavement. 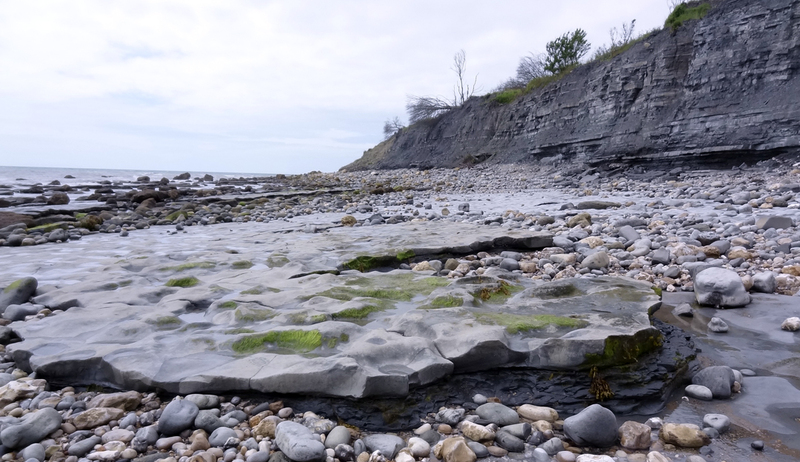 The site is a public beach just beyond the Cobb in Lyme Regis. There is ample parking just a few steps from the beach. In summer, the place is crowded with hammer whacking children and adults! 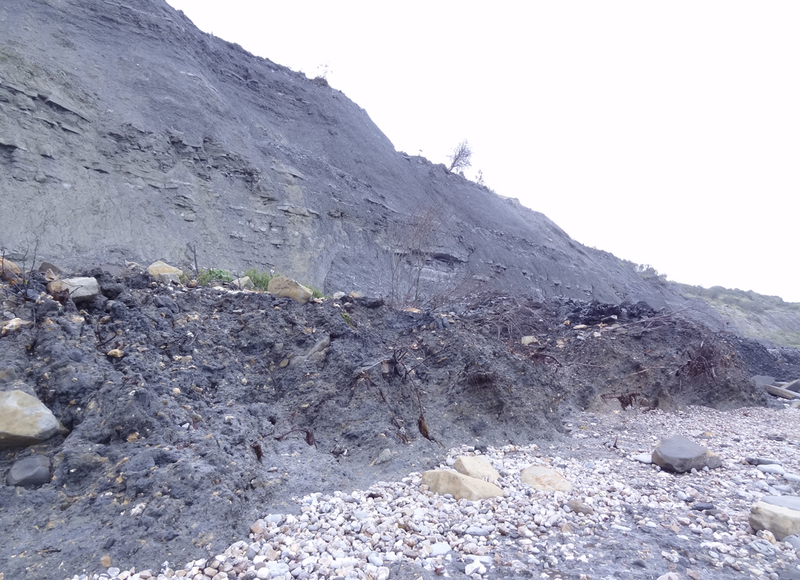 The Jurassic Blue Lias in the cliff face. You do not need to walk far before finding fossils in the rubble. 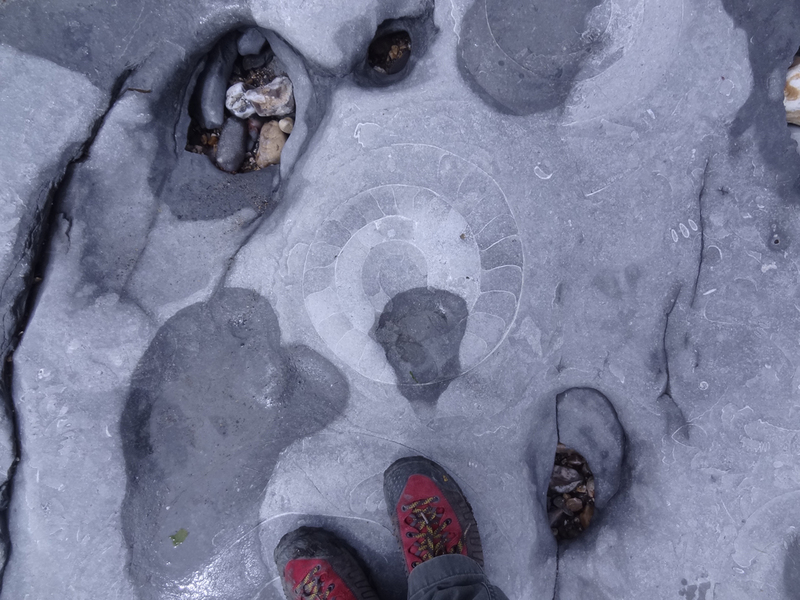 Traces of large ammonites are everywhere in the beach cobble. 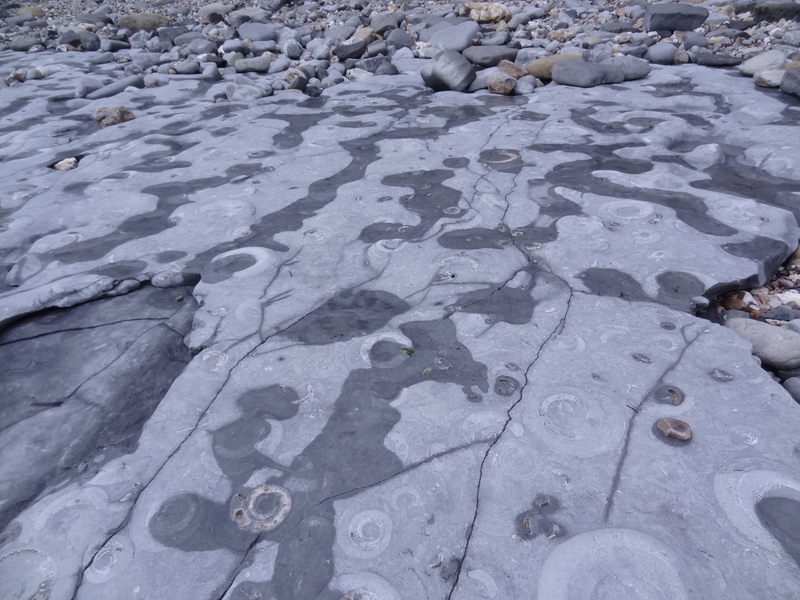 The density of ammonites in some layers is amazing. Better preservation may have inspired me to take this home. 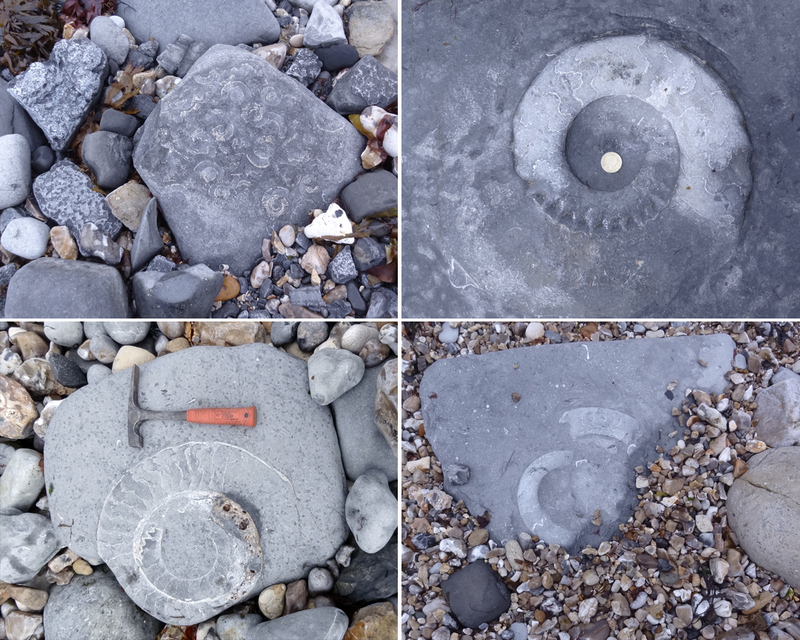 At the far end of the beach is the exposure of the ammonite pavement. 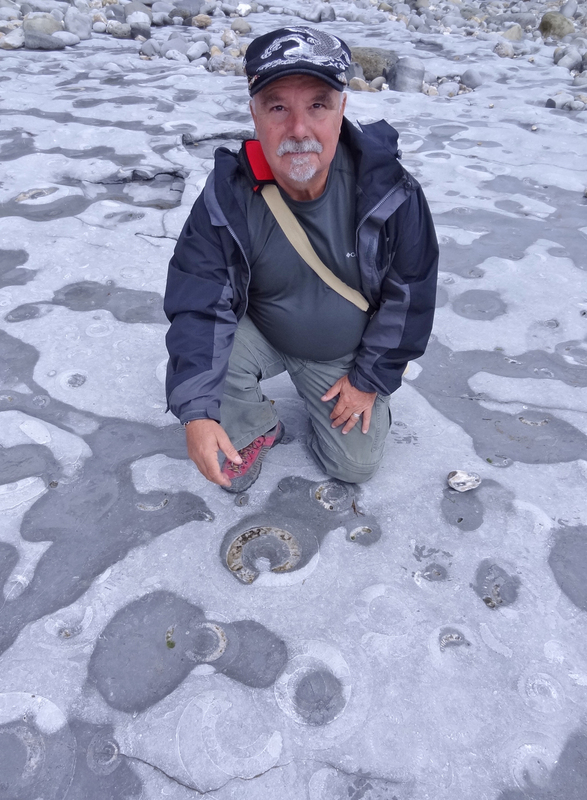 The density of ammonites is a site to see, truly a natural wonder. 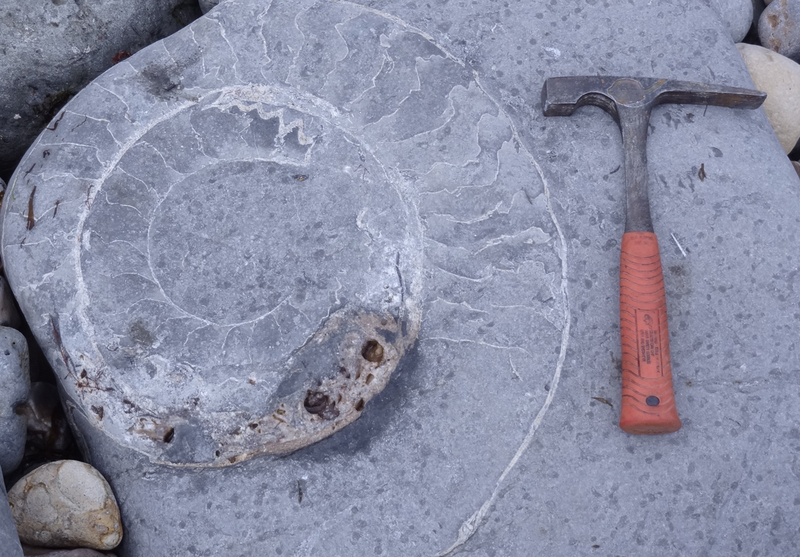 Large Ammonite in the pavement. 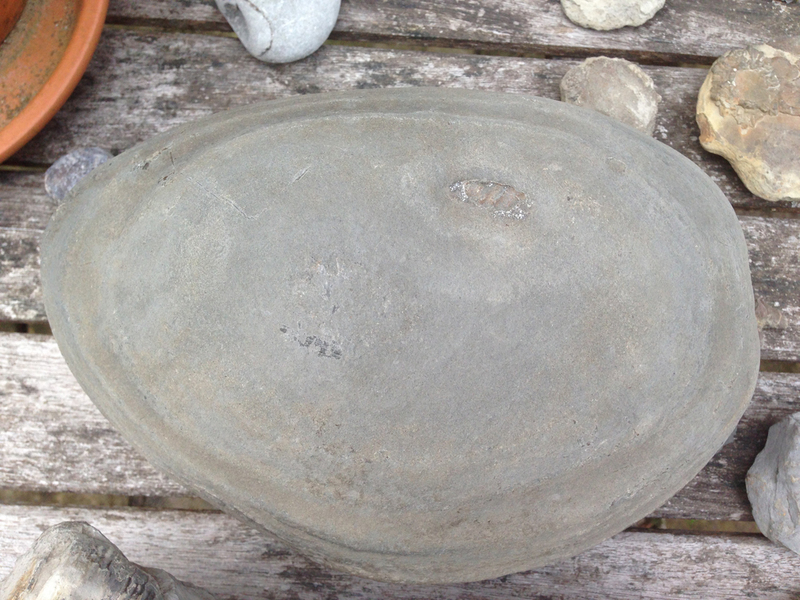 A 9" wide Birchi Nodule with a peeking Arnioceras! I found this lying in the cobble. This is the only fossil I took away from Monmouth Beach.